DS Techeetah driver Andre Lotterer says Mitch Evans pass to win ABB FIA Formula E’s Rome E-Prix was “good racing”. Lotterer led from pole for the first half of the race before Evans’s slight energy advantage and greater pace allowed him to cut around the outside of the Techeetah machine at Turn 10 and take the inside line at the Turn 11/12 chicane. Both drivers received a warning for the incident, but Lotterer says Evans’s move was fair. 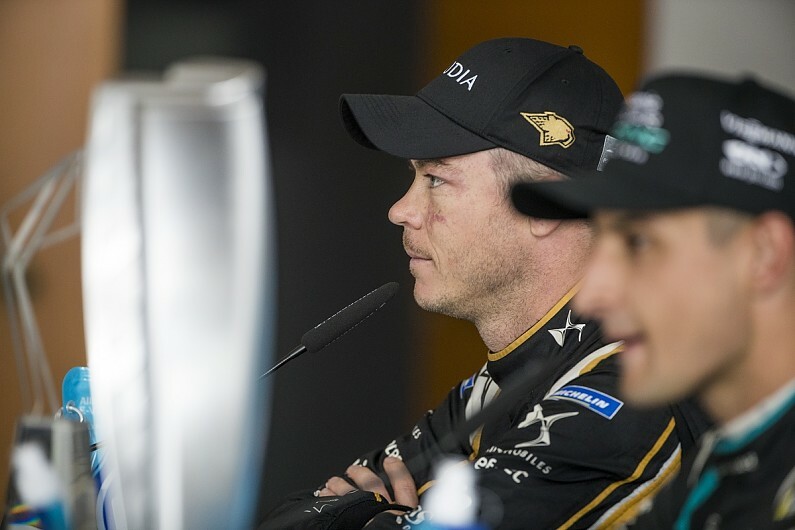 Lotterer said: “I think it [the overtake] was in that moment where I started to struggle with the tyres and couldn’t get right on the power and he [Evans] was nailing that a bit better. “He put me in a difficult position and did the job in crossing me over [at Turn 10]. “I tried to hold onto it but obviously, he had the nose in it and at that corner, I was trying not to hit the wall. “I’m not sure I was on the right setting at the beginning because I think that’s why he had a little more energy,” said Lotterer. “In the race, we started to struggle with the tyres, we need to check what happened, it felt like the pressures were high and we need to check the data. “The car was great all day. It was the only thing to put me into difficulties. “I couldn’t keep him behind me with attack mode and I didn’t have enough to keep him behind me. “I couldn’t get the right grip to get the right exit and was swimming around a bit. “Once the energy information became visible, I thought it was surprising [to have an advantage] and I needed to use it to get close and attack,” he said.